Manufacturing & Trading of Cement Products. Incorporated in the year 2012, we, "Vinayak Cement Products" are a profound name of the industry engaged in manufacturing and supplying a comprehensive assortment of Footpath Curbings, Sheds, Office Building, Labour Quarters and Varied Walls to our valued patrons. 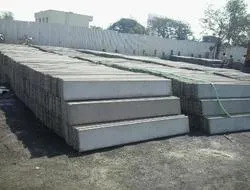 Our offered product line comprises Precast Boundary Walls, RCC Compound Boundary Walls, Precast Prestressed Boundary Walls, Prefabricated Boundary Walls, Cement Boundary Walls and others. 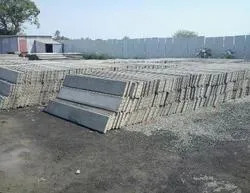 Along with this, we also bring forth RCC Folding Compound Walls, Precast Prestress Compound Walls, Readymade Compound Walls, Compound Walls, RCC Folding Compound Wall and others. Moreover, we are also engaged in rendering installation services of this prior range. The offered products are manufactured in compliance with the industry laid parameters, which are fabricated by making use of supreme grade raw material in conformity with the defined industry norms and guidelines. Further, these cement products are accredited in the industry for its diverse attributes like supreme quality, resistance against harsh weather conditions, smooth finish and minimal maintenance. In addition to this, clients can avail these products in multifarious customized options as per their detailed specifications. We foster a well-established infrastructure at our end that sprawls over a large space of land. These units are categorized into various departments like procurement, production, quality control, sales & marketing and others to carry out hassle-free operation in a smooth manner. Equipped with ultra modern machinery and cutting-edge tools, we undertake ample orders of patrons within the committed time frame. Team members associated with us work in full swing to fulfill the predetermined goals of the organization. Our products are tested on various quality parameters to ensure their flawlessness nature. In addition to this, we offer our clients with easy payment modes, transparent dealings, to achieve the pinnacle of success. With the unmatched support and guidance of our mentor, “ Mr. Jatin Hirani" , we have been able to meet the prerequisite demands of the patrons in a well defined manner. Their rich expertise, module behavior and direct business acumen have enabled us to maintain the topmost place in this industry. We are backed by a huge state-of-the-art-infrastructure that is divided into sub-departments such as manufacturing, quality testing, R&D, sales and marketing in order to carry forward the manufacturing processes in a smooth and efficient manner. Also, our team of skilled professionals maximize their production capacity to bring up an outstanding range at the patrons end. Moreover, to execute all the processes in an affluent manner, we have installed our unit with all the required advanced machines and technologies that assist us to fabricate a flawless range of products. We are supported by a team of diligent manpower who believe in developing cordial relationships with the customers linked to our organization. Our organization strives to maintain mutual bond in respect with the fair business dealings to attain maintain utmost level of client satisfaction. Moreover, we recruit experienced and highly qualified members who acquire vast knowledge of this respective arena. These professionals stand tall on the patron’s demands and make sure to work accordingly in a swift manner towards their queries. To keep pace with the ever changing demands of the industry, we organize seminars and sessions for our professionals at frequent intervals. 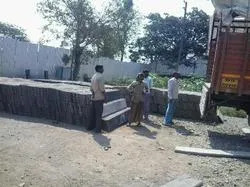 We are a coveted name engaged in providing an outstanding range of Footpath Curbings, Sheds, Office Building, Labour Quarters and Varied Walls to our valued patrons. Offered array is manufactured as per the tastes and preferences of the clients. These products are designed by making use of supreme grade raw material that is sourced from the most valued vendors of the market.